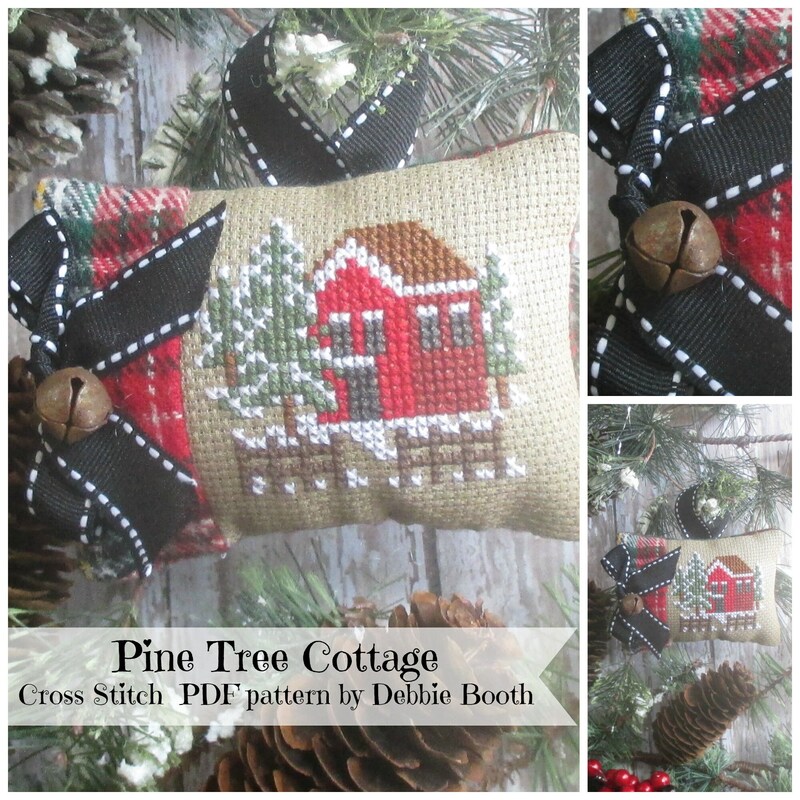 Pine Tree Cottage is the first in a Series of Winter Cross Stitch patterns. The Pine Tree Cottage is nestled in the forest, surrounded by Pine trees. The winter months have arrived bringing with it chilly weather. It is beginning to snow! 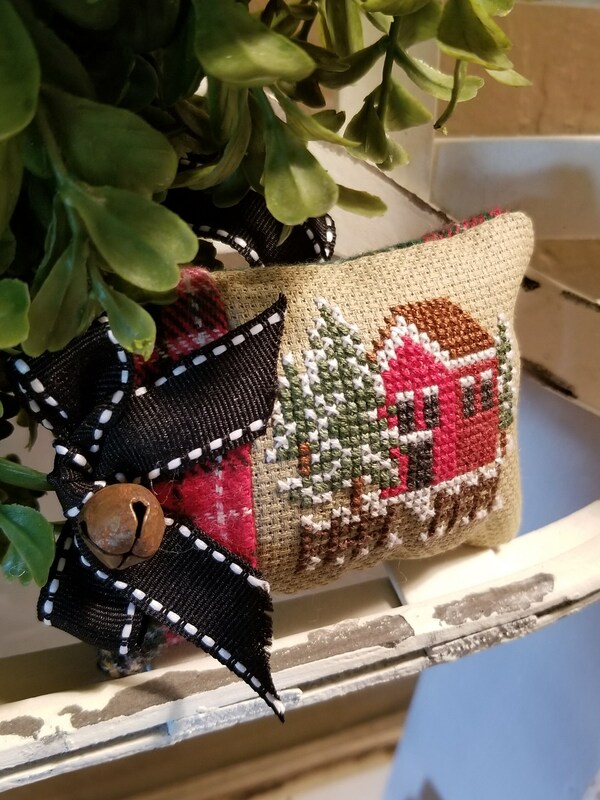 of my cross stitch designs. 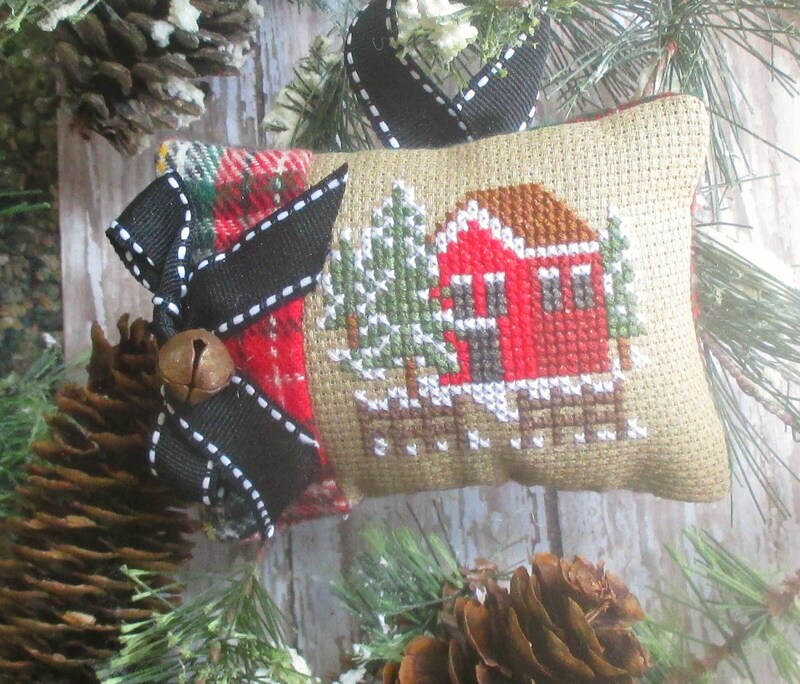 Many of my designs have crossed over from quilting and miniatures to cross stitch charts. I've made them now for anyone to create and enjoy. 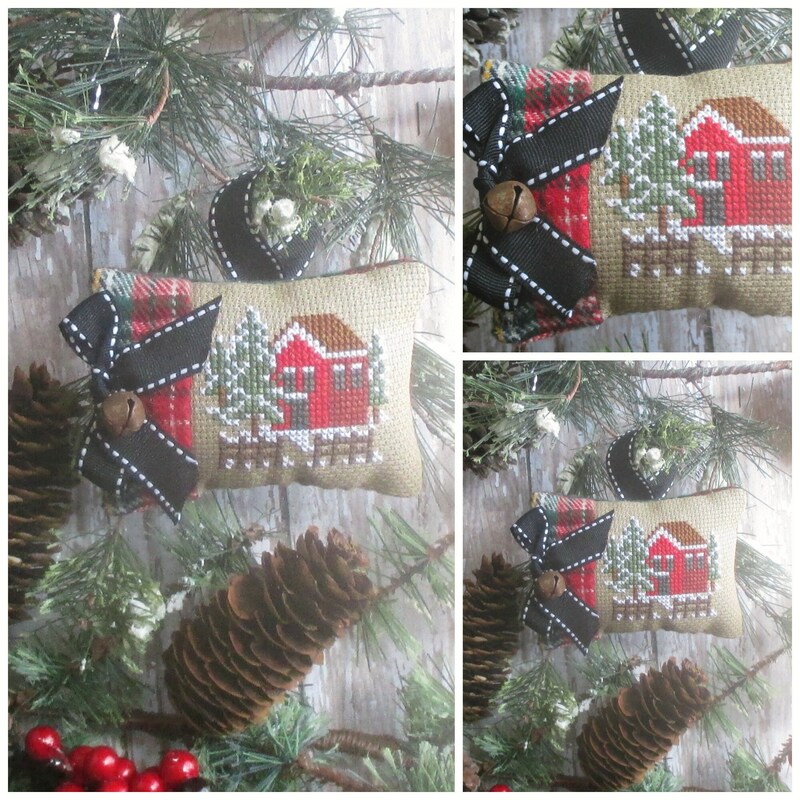 Step by step directions too for making this little ornament pillow. 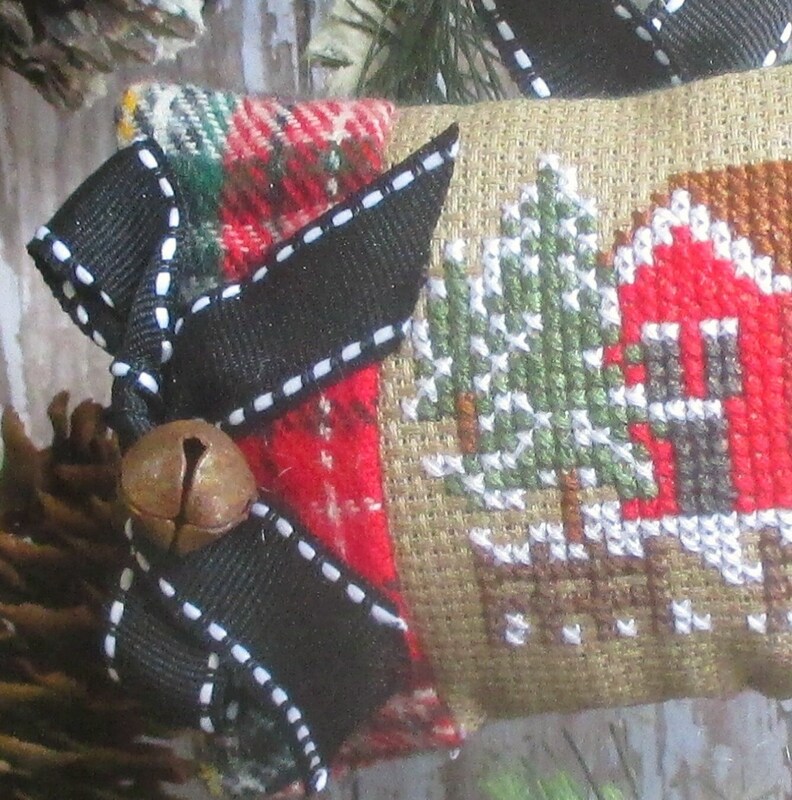 While this pattern shows this design finished into a Christmas ornament (instructions inside this pattern) it can also be made alone and framed, or displayed in a small wooden embroidery hoop where no sewing is required. I try to offer options in my patterns taking into consideration differing skill levels of stitchers. 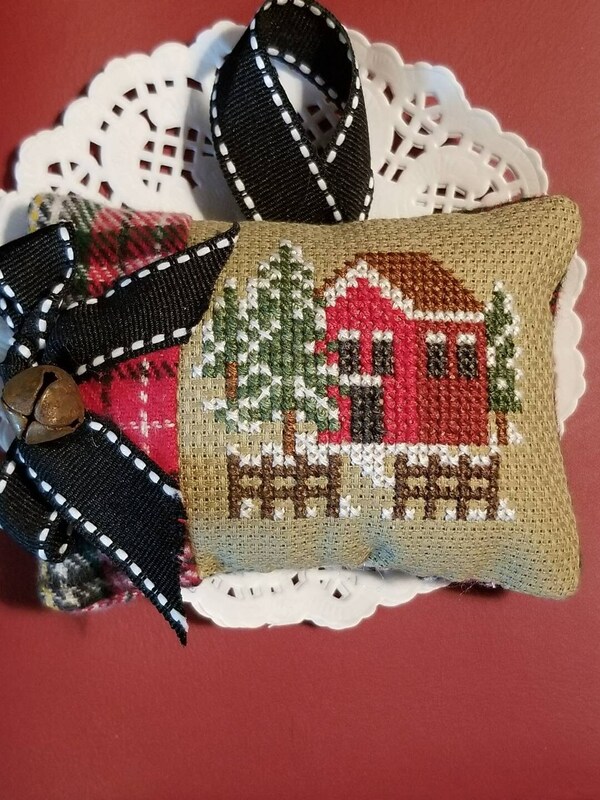 So there is always a basic direction for beginners and then a little more direction for sewing and making the ornaments or designs into a finished product. So keep checking back because I have already stitched 10+ designs and I'm in the pattern production phase. Those patterns and more will be uploaded by October 2018. I'm so excited I just about can't stand it!!!! Pattern includes Front cover, directions, chart and thread key. This is a downloadable PDF that you will receive upon completion of your transaction. You will receive a link once the purchase is made, and you will click on the link. The pattern will be opened up on your computer or tablet and can be saved to a file, or printed off, or sent to a printing source such as Kinkos, or Staples, etc. You will not be receiving anything physical in the mail.